Update: Hinode now sells items at mostly RM6 each however they have certain items that are more expensive. For example I bought a durable cloth bag for RM15 which I find it useful to carry heavy items, groceries and general items when I am going out. Hinode Shop is a shop that sells budget items for mostly RM5 RM6 each. Now they have a membership card- in which if you swipe after each purchase, you will get one item RM5 RM6 each free after you make 10 purchases- ie buy 10 free 1. 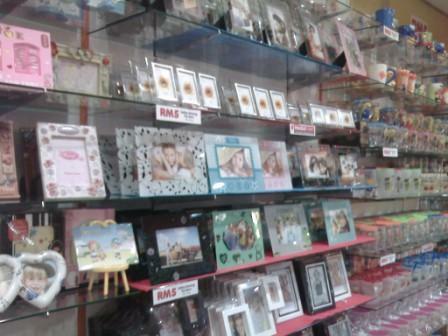 The shop sell all kinds of stuff- photo frames, greeting cards, origami paper, decorative items, note books, bowls, bags, gift items and many other souvenior items. 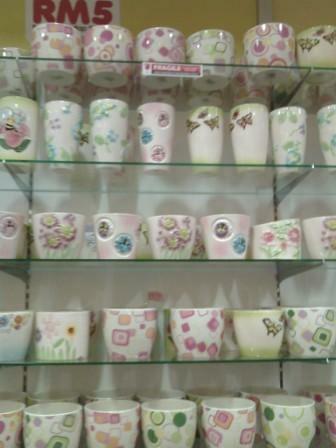 Quite similar to Daiso. 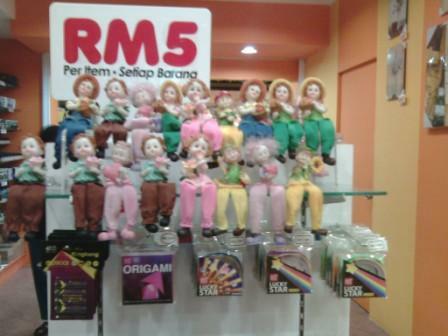 Usually, I doubt most people would buy gifts from this shop- because sometimes the receipient may not be happy about a RM5 gift. Mostly it is bought for personal use. Can i know how to check how many point i have? I have one complain. Why the fragrance oil “Heavenly Garden” has been missed in Hinode shops? Every Hinode branch I go to, looking for this specific item, I can’t find it, and the workers there told me that Heavenly Garden is “no more”, Hinode stopped producing it. I am sorry, this is not the Hinode website. I am also not sure why they have discontinued the fragrance. hello,hinode shop have sell spongebob pencil case? Hi Christina, you can call Hinode to check with them. I’m a regular customer at Mid Vally Hinode Store but I very dissapointed when yesterday i bought a wall clock at the store RM 5. After 1 hour plus i pass by the store on the way to car park, my friend and I saw a new design wall clock. Then I request 1 of the staff to exchange due to before that my friend & I not seen the wall clock display. I try to slowly talk to the staff but the attitude and the reason she give me is because the price had punch at the cashier counter. I believe every retail store have the refund or exchange, or void transaction function at the EPOS or cashier counter. Furthermore, I just want to exchange the item which is more expensive and i willing to pay for the additional for the price. http://atsw.myvnc.com/ats_vip cannot be found, How to check point rather than call??? any other website?? 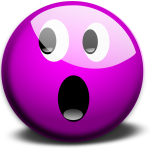 and anyone know the original website for Hinode? I’m interested buying fragrance items for my business in Melaka. So appreciate if you could channel me where to get mentioned items at minimum quantity. Mentioned items are useful, reasonable price and also attractive. pls help me check for this below two card point. Hi Chew, I have checked for you and Hinode shop mentioned they need the physical card to check your points. You need to visit the nearest Hinode shop for their counter staff to check for you. Take note that 1Utama Hinode purchases does not accumulate any points. I have been doing my purchases at 1U Hinode for the past 2 years and last Xmas I purchases gifts for RM200+, but 2 days ago, I checked my points at different Hinode outlet and shocked that I only have 2 points. Everytime I show my card at Hinode 1U, the cashier reception would say they cant check my balance as there is a system issue. But then, assured me that the points will be added to the card. After 2 years, with many purchases, it is disappointing to know that all the points are not accumulated to the card due to system error in 1U Hinode. why the website ( atsw.myvnc.com/ats_vip) is can’t open? sooo how can i check my points in internet? A Hinode staff informed me that need the physical card to check on points. There is no options to check online. Very bad and not comfortable and not even friendly. When i made my payment they straight away give you a new card and asked for payment. Then i said i already have a member card , i don’t want to have another one but they were not listen at all…it is very intolerable and i look further to your enhancement of customer service! Hi Joey….sorry to hear about your experience with Hinode. This site is my blog and not official Hinode website hence I am sorry I cannot help you. However I did had that experience once at another outlet…even though the staff was not so persistent as yours. Perhaps they have been assigned with a high target to sell the cards and therefore it may explain the persistence. Hai…sya bminat utk mbeli brngn hinode…tp masalanya di sbh xda tu jedai hinode…mcmna utk mbeli scara borong…sbb sya bcdng utk bniaga utk brngn hinode…010 9466 676 alreina sbh.